Hopefully you haven’t pawned off your chess skills for your python skills, because this week is all about the most dangerous game in celebration of last week’s International Chess Day! 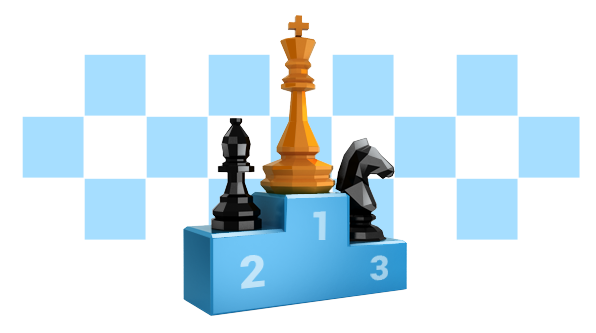 We have three brand new chess themed missions for you this week from CheckiO Grand Master Bryukh! The Berserk Rook mission sets you against an army of Rooks. Your mission: single handedly take down the entire opposing force with you berserker python rage. Pawn Brotherhood puts you in charge of organizing a brotherhood of pawns to create battle plans by testing weaknesses in the pawn defenses. Place Queens takes place during a chess cease-fire. Each of the eight Queens representing different armies are meeting to discuss a treaty and must be placed on the board in a configuration that does not put any one Queen in danger. And now for the results of the PEP8 competition! Congratulations to blaxmi who took third place, BornForDying who took second and pyos who won the grand prize. For their excellent PEP8 solutions, all three of these folks will be taking home a year long subscription to GitHub for themselves and two of their friends! Finally, we would like to highlight another fantastic Python group focusing on Women and code. This group is called Puget Sound Python (PuPy pronounced puppy) and starts up on the 9th of August in Seattle, Washington. They’re kicking off the the first meeting with a slew of star studded speakers including Lynn Root, the founder of PyLadies SF, Kristin Smith CEO of Code Fellows, Cris Ewing Code Fellows Python instructor, Krista Davis from Google, Steph Burg from Microsoft, Stephanie Kim of PyLadies Seattle, Kamila Stepniowska of Girl Geek Carrots and Larry Hastings release manager of Python 3.5. It looks like it’s shaping up to be a great time with food, drink and code!